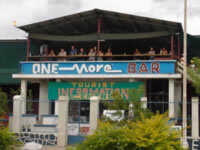 Suara Timor Lorosa’e, November 11, 2010 language source: Tetun - Vice Director of Immigration Department Police Inspector Chief Luis Barreto said that the Immigration Police were now improving their search of bars and discotheques to control foreigners who were misusing their visas. Barreto said many foreigners had been detained at bars and discotheques during the operations, due to misusing visas, adding that those detained people would be investigated by the police as whether they had breached the Immigration law. The United Nations Police Commander Commissioner Luis Carilho said the UN Police would continue cooperating with the Immigration Police to control foreigners in the country, although the security responsibility had been handed over to the national immigration police recently.